It's been almost a month since I last posted and I have some pics for you. 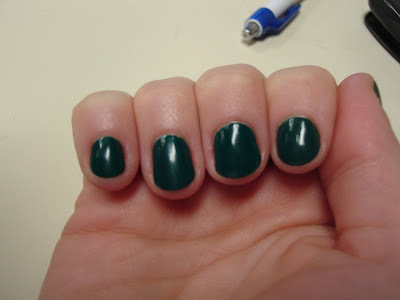 First up is a nail polish I picked up in the halloween section of walmart, it's a small green bottle with no name. 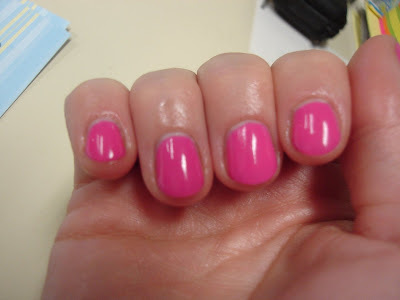 This is two coats with my usual base coat of salon sciences instant artificials, and seche vite top coat. 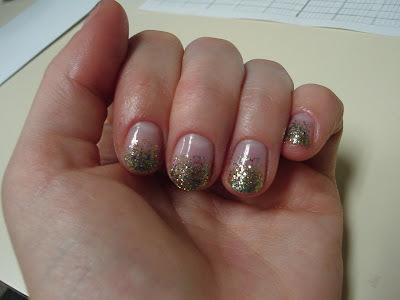 I used one coat of salon sciences instant artificials. Then 3 coats of RBL locavore, with each coat starting closer to the tip than the last. 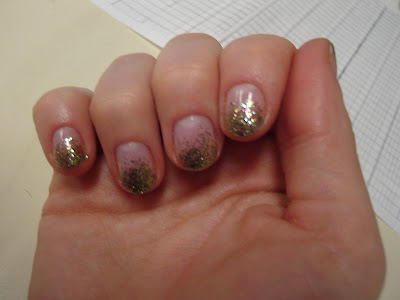 I then used another coat of salon sciences instant artificials, in an attempt to get the gel look. I topped it all off with a coat of seche vite. The pictures did not turn out that great, but irl it doesn't look too bad for my first try!